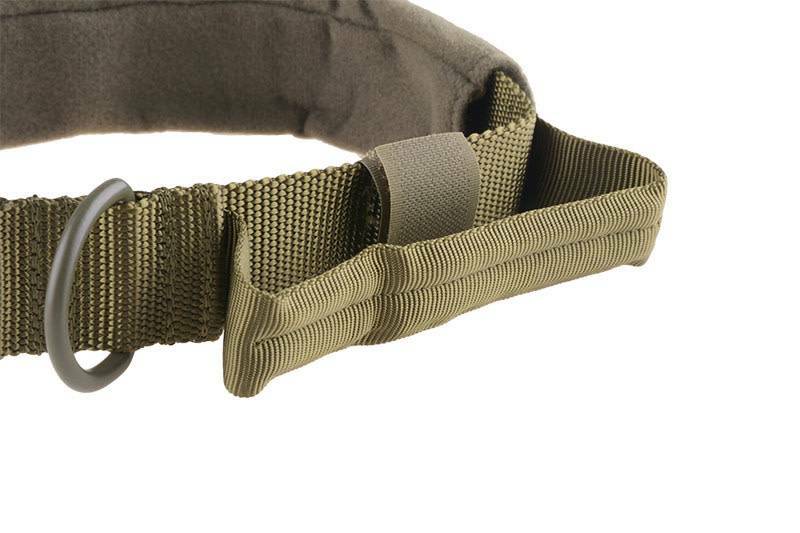 The use of strong seams and high-quality elements such as tapes, hooks & loops straps or buckles significantly increased the resistance and durability of this brand"s products. 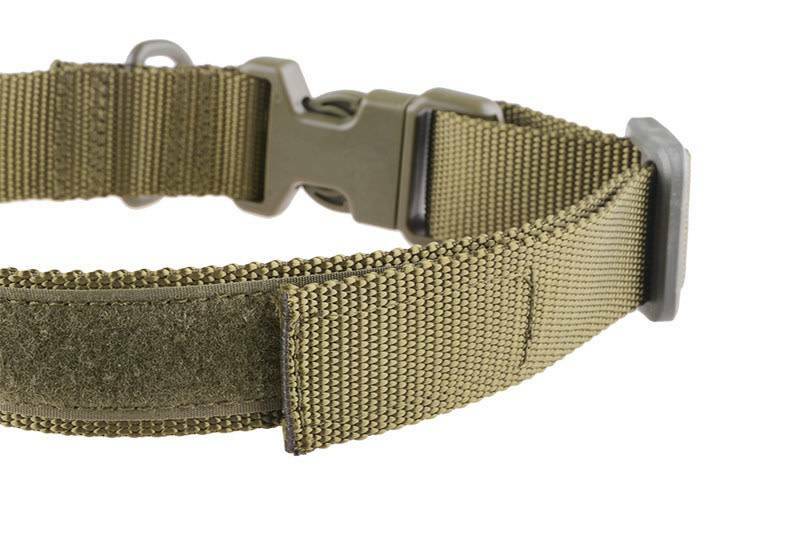 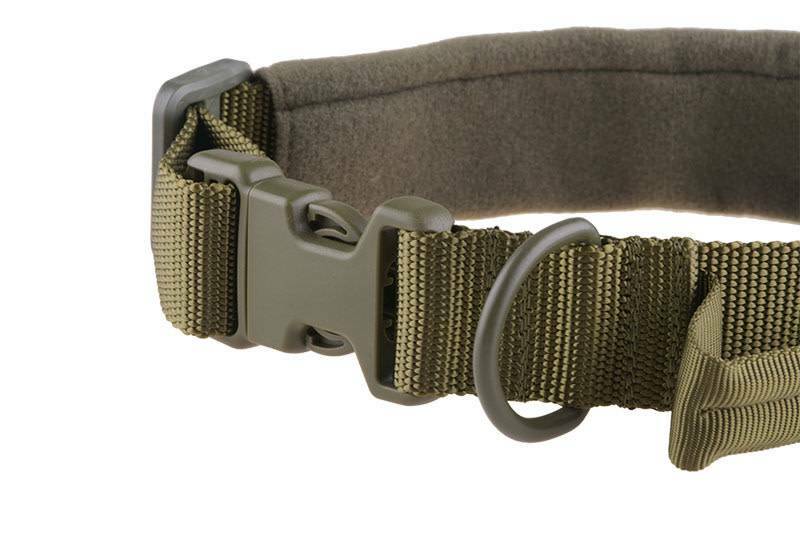 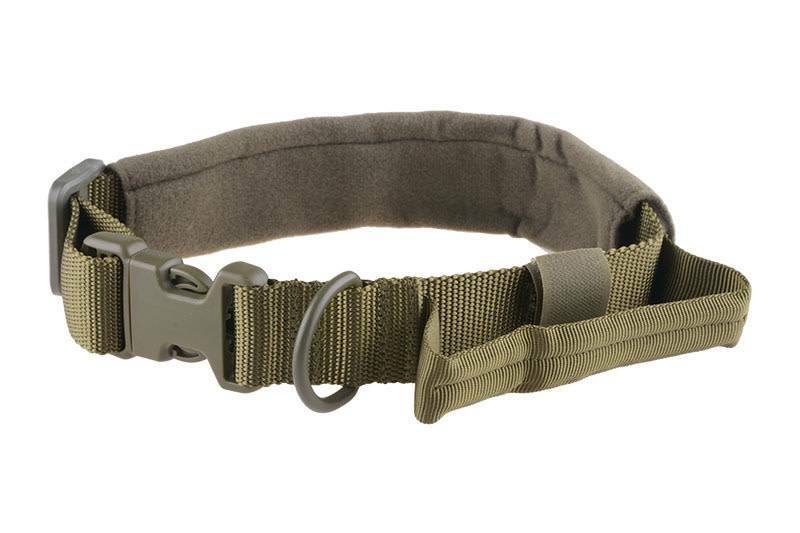 A tactical dog collar sewn from durable nylon by Primal Gear. 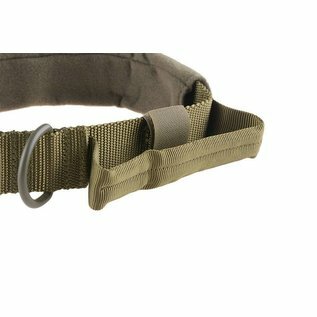 The collar has an adjustable circumference using a hook and loop fastener (44 - 52 cm) as well as a soft sleeve / comfort pad included in the set. 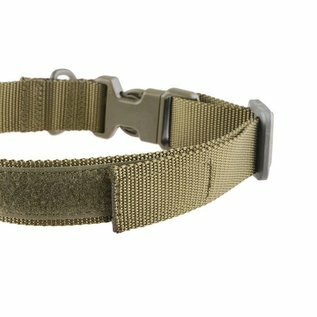 The collar has a self-locking buckle closure and features a solid loop for attaching a leash made of steel. 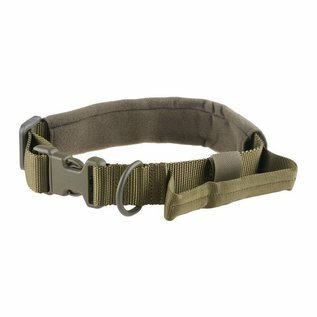 The collar also has a strong handle for holding the dog short on a leash.